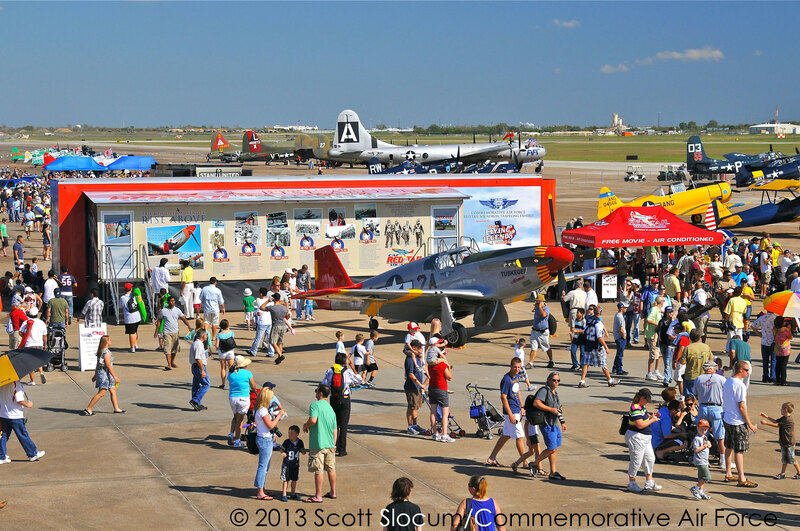 The Commemorative Air Force (CAF) Red Tail Squadron, America’s tribute to the Tuskegee Airmen, is excited to announce they have been invited to attend the Association for Supervision and Curriculum Development (ASCD) Annual Conference and Exhibit Show April 2-4 in Atlanta. Squadron representatives will be showcasing the inspirational power of their RISE ABOVE Resource Kit and RISE ABOVE Traveling Exhibit. 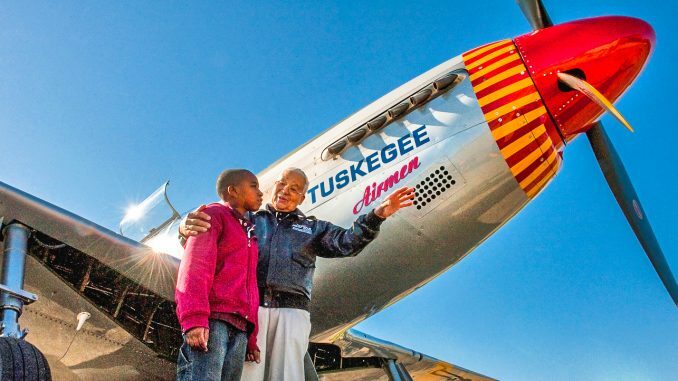 Thousands of educators and administrators from across the county can find out how the legacy of the Tuskegee Airmen can inspire their students to RISE ABOVE and achieve their dreams while learning about an important piece of history. 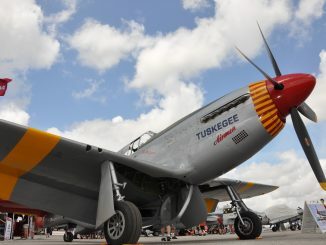 The mission of the CAF Red Tail Squadron is to educate audiences across the country about the history and legacy of the Tuskegee Airmen – America’s first black military pilots and their support personnel – so their strength of character, courage and ability to triumph over adversity may serve as a means to inspire others to RISE ABOVE obstacles in their own lives and achieve their goals. The group was founded on the objective to carry the lessons of the Tuskegee Airmen into every classroom in America. In addition to the RISE ABOVE Traveling Exhibit, a 53’ mobile theater utilized for private showings at schools and other venues around the country, the Squadron offers innovate resource materials for teachers and youth leaders to help bring the lessons of the Tuskegee Airmen alive in the classroom to inspire and ignite students of all ages. Their RISE ABOVE Resource Kit is a collection of materials for classroom use that includes posters, DVD, kids’ pocket-sized books, inspirational dog tags, children’s book and classroom activities. “We invite you to visit us in the exhibit hall at booth number 1149 to get your free dog tag featuring our Six Guiding Principles – Aim High, Believe In Yourself, Use Your Brain, Be Ready To Go, Never Quit and Expect to Win,” said CAF Red Tail Squadron Leader Bill Shepard. “I’d like to personally share with you how our inspirational program has brought the lessons of the Tuskegee Airmen to life in classrooms across the country and helped students aspire for higher!” The ASCD annual conference will be held at the Georgia World Conference Center in the heart of downtown Atlanta. ASCD is the global leader in developing and delivering innovative programs, products, and services that empower educators to support the success of each learner. 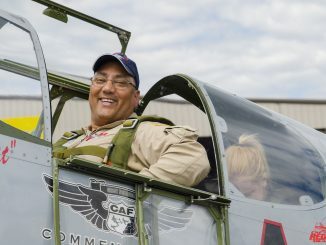 The CAF Red Tail Squadron is a volunteer-driven non-profit organization dedicated to educating audiences across the country about the history and legacy of the Tuskegee Airmen, America’s first black military pilots and their support personnel. RISE ABOVE Red Tail, their three-fold outreach program, includes a fully restored WWII-era P-51C Mustang, the signature aircraft of the Tuskegee Airmen; the RISE ABOVE Traveling Exhibit 53’ mobile theater featuring the original panoramic film “Rise Above”; and resource materials for teachers and youth leaders. 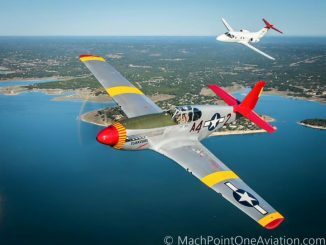 Each year, they embark on a nine-month cross-country tour that includes appearances at air shows, schools, museums and community events. 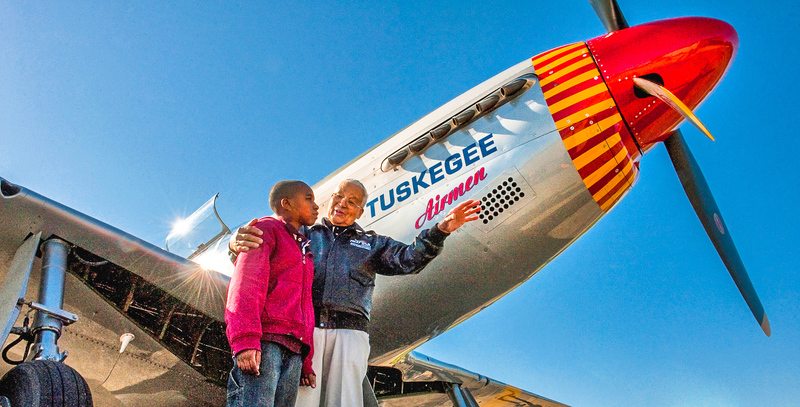 The group’s Six Guiding Principles – Aim High, Believe In Yourself, Use Your Brain, Be Ready To Go, Never Quit and Expect to Win – serve as the foundation for their outreach programs and are based on the experiences and successes of the Tuskegee Airmen. The CAF Red Tail Squadron is a 501(c)(3) charitable organization part of the Commemorative Air Force (CAF). Learn more at www.redtail.org.